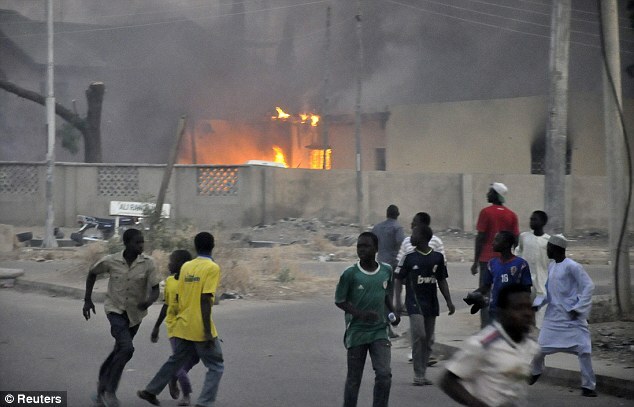 Islamists ‘Boko Haram‘ kills at least 143 in Nigeria, via multiple bombs. KANO, Nigeria (AP) – Coordinated attacks claimed by a radical Islamist sect killed at least 143 people in north Nigeria’s largest city, a hospital official said Saturday, as gunfire still echoed around some areas of the sprawling city. The Islamic Shiite cleric was active in jihad in Latin America, at least since the early 1990s. The man directly responsible for this cell-building operation in Argentina was the cultural attache of the Iranian embassy in Buenos Aires, Mohsen Rabbani. His job was supposedly to provide cultural and religious information. His real job, however — like that of the Iranian ambassador to Syria in 1983, Ali-Akbar Mohtashemi — was building the local terror network. A Shiite cleric, Rabbani gave a 1991 speech in a Buenos Aires convention hall before an audience of about 100 Argentinean right-wing advocates and Shiite Muslims. The front row was reserved for officials of the Iranian embassy, who beamed as Rabbani declared in schoolboy Spanish, “Israel must disappear from the face of the earth. COLUMN ONE : Hezbollah: The Latin Connection : Bombings in Argentina and Panama prompt concern over the radical group’s growing presence in the region. Experts say lax security and porous borders create a prime base for terrorists. August 04, 1994TRACY WILKINSON TIMES STAFF WRITERBUENOS AIRES — The convention hall near the National Congress was festooned with flags bearing Islamic symbols and posters of Jerusalem’s Dome of the Rock shrine. About 100 Argentine right-wing activists and Shiite Muslims filled the audience. In the front row sat diplomats from the Iranian Embassy. The embassy’s cultural affairs officer, Imam Mohsen Rabbani, rose. “Israel,” he intoned in accented Spanish, “must disappear from the face of the Earth.” He and a dozen speakers who followed quoted Iran’s late Ayatollah Ruhollah Khomeini and called for unity in the fight against Zionism and the satanism of the West. By Luis Fleischman On July 12, 2011 ….The Committee on Homeland Security met on July 7th to discuss Hezbollah’s growing influence in Latin America. Testifying at the hearing were Roger Noriega, former Under Secretary of State for the Western Hemisphere and American Ambassador to the Organization of American States; Douglas Farah, Senior Fellow at the International Assessment and Strategy Center and a former Washington Post journalist; Ilan Berman, Vice President of the American Foreign Policy Council; and; Dr. Melanie Cammett, professor at Brown University. Noriega also spoke about the Venezuelan government’s complicity in encouraging Hezbollah activities. A key operative in the Hezbollah network is the second highest ranked diplomat in the Venezuelan embassy in Syria. The man, Ghazi Nasserdine, along with two of his brothers, manages a network that raises and launders money and recruits and trains operatives to expand Hezbollah’s influence in Venezuela and throughout Latin America. One of Nassardine’s brothers maintains relationships in the broader Islamic community via a multi-national organization known as the Federation of Arab and American Associations (FEARAB) in an effort to spread Hezbollah’s ideas. It is important to add to Noriega’s point that FEARAB has been in existence in Latin America since the early 1970’s as an entity organized to serve as a mutual aid society to immigrants and residents of Arab origin, even though it was founded with the help the Arab League. Yet, FEARAB has been radicalized in the last several years. Its leaders are making incendiary statements and decades of decent relations between Arabs and Jews in countries such as Argentina have met their lowest point as a result of such radicalization. This shows the extent to which Hezbollah reaches out to local populations of Arab origin and mobilizes them. Nasserdine’s youngest brother is strengthening Hezbollah’s presence by recruiting adherents via the Circulos Bolivarianos, Chavez’s main political and social organization aimed at spreading and monitoring Chavez’ revolution at the local level. 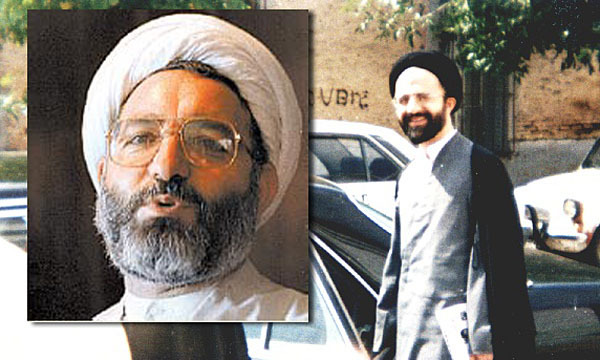 Furthermore, Noriega added that the individual who oversees the parallel Hezbollah network on behalf of the Qods Force is Mohsen Rabbani, a high-ranking Iranian wanted by prosecutors in Argentina for his role in the 1992 and 1994 terrorist attacks against the Israeli embassy and the Jewish Community Center in Buenos Aires. by the United States as a terrorist financier of Hezbollah. from other countries in the region. network in Mexico and throughout the region. Venezuela with the protection of the country’s government. on Jewish targets in the Western Hemisphere. Are Iran’s Terrorists Finding a Safe Haven In Latin America? The IRFC-QF or “Qods Force”, which is Iran’s elite unit within the IRGC and responsible for exporting the Islamic Revolution throughout the world, has engaged in terrorist activity in Latin America for quite some time. The infamous Tri-Border Area (TBA) between Brazil, Argentina and Paraguay has long been considered a safe haven for various Islamic terrorist groups— many of which are funded and supported by the Qods Force of Iran. Of the many Iranians implicated in the attacks during the nineties in Argentina, one individual stands out as having masterminded these attacks—Mohsen Rabbani. Rabbani is the former cultural attaché of the Iranian embassy in Buenos Aires. In general, Rabbani’s recruitment, training and proselytization operations are carried out by Iran’s proxy Hezbollah. Through Hezbollah, Rabbani’s agenda has been exported throughout Latin America reaching as far north as Mexico…. More than 20 Islamic extremists connected to al-Qaeda and other terrorist groups are using Brazil as a base to hide, raise money or plan attacks, according to leaked documents. However, according to Veja he is also in control of an online communications arm of al-Qaeda called Jihad Media Battalion, which has a presence in 17 countries around the world and spreads communications from al-Qaeda leaders as well as publicising attacks. Another of those named is Mohsen Rabbani, an Iranian wanted by Interpol as the suspected architect of bombings on Jewish targets in Buenos Aires in the 1990s that killed 114 people. According to the documents, he frequently slips in and out of Brazil on a false passport and has recruited at least 24 youngsters in three Brazilian states to attend “religious formation” classes in Tehran. One of the most wanted criminals in the world, Iranian Mohsen Rabbani, teaches “religious training courses” to lure poor rural Brazilians. The man pictured– white beard, wearing brown, and his head wrapped in a turban — is the Iranian Mohsen Rabbani. Among the seventeen people who surround him are eight Brazilians. Rabbani is considered by these people to be a teacher. The classroom is located in the city of Qom in Iran, which is sacred to Shiite Muslims. Converts to Islam, the young Brazilians traveled, with all expenses paid, to deepen their religious knowledge. Recruiting or proselytizing is common to all faiths. In this case, however, distortions are disturbing. Rabbani is not a teacher either. VEJA revealed two weeks ago that, in addition to being one of the most wanted terrorists in the world, he is also responsible for recruiting young Brazilians for courses on “religious training.” What this terrorist, named as a perpetrator of one of the bloodiest attacks in history and responsible for the deaths of over a hundred people, may be teaching the Brazilians is, at present, a major concern of the authorities. The clues uncovered so far to unravel this mystery are not encouraging. “Professor” Rabbani is wanted for his involvement in acts of terrorism since November 9, 2006. His capture is considered so vital that Interpol has included his name in a so-called “red notice,” the select list of most wanted people in the world. The international arrest warrant against Rabbani was issued by Argentinean courts. He is considered one of the masterminds behind two attacks on Jewish targets in Buenos Aires, which killed no less than 114 people in 1992 and 1994. Rabbani was an Iranian Embassy official in Argentina’s capital and not only developed, but also perpetrated terrorist acts. With diplomatic status, he is now protected by the regime of Iranian President Mahmoud Ahmadinejad — and responsible for the recruitment of followers throughout Latin America (see document on pg. 68), promising religious influence and also money. Rabbani’s effort to amass followers in the poor regions of Brazil with no tradition linked to Islam is noteworthy. “Rabbani is a serious security threat, including in Brazil. In Argentina, he spread his vision of radical, extremist, and violent Islam, which resulted in dozens of casualties during the Buenos Aires terrorist attacks. Now, based in Iran, he continues to play a significant role in the spread of extremism in Latin America,” prosecutor Alberto Nisman, head of the special unit of the Argentine prosecutors charged with investigating the attacks, said to VEJA. The enticement of Brazilians for courses abroad has been monitored for four years by the Federal Police and the ABIN, the government’s secret service. It is Rabbani himself, with help from people he trusts, who chooses those who will travel. From 2007 until today, three groups of Brazilians have visited Iran. There are plenty of reasons for such surveillance. The course has, in fact, a strong religious content. But that is not what is of concern. Students from one of the groups of Rabbani have confided that, during these travels, they have visited the premises of the radical Lebanese group Hezbollah, considered a terrorist organization by many countries, including the United States. Reports to which VEJA had access state that the courses of Professor Rabbani are some sort of an entryway for terrorism. According to these documents, the classes include radical preaching and training in military camps. 180 kilometers away from Recife, in rural Pernambuco, the city of Belo Jardim is the most active center for the recruitment of extremists. Of the eight selected Brazilians for the first class taken to Iran in late 2007, four were from Belo Jardim. A brother of Mohsen Rabbani, who lived in Curitiba, personally took care of recruitment. Today, this Pernambuco city of 58,000 inhabitants deserves constant attention from the Federal Police and ABIN. Among the Brazilians are lured a taxi motorcyclist, a schoolteacher, an official of the Banco do Brasil, and an English teacher — all from humble backgrounds. Erlan Batista Machado, motorcyclist, had never been on a plane until the day he flew to Sao Paulo and from there to Iran, where he studied at the invitation of Rabbani. In Iran, he gained a new name: Sayd. Approached by VEJA, Erlan said he accepted the invitation because he wanted to know more about Islam. “It was a wonderful experience,” he said. He said he never had contact with terrorists or with radical groups. The reaction of Professor Joao Adriano Oliveira was the same when asked about the matter: “It was just a religion course.” Joao Adriano, who teaches in a public school and is learning the Arabic language, was a natural leader of the group formed in Belo Jardim. Renamed Abw Husayn, it was his responsibility to make contacts with the brother of Rabbani and with Iran. Travel expenses were paid by a foundation coordinated by Rabbani and sponsored by the Ahmadinejad government. Joao and his classmates also received small amounts of money during their period of stay in Iran. They came back with a promise from Rabbani to donate $350,000 to build a mosque in the city. The papers seized included an annex to the document illustrated in this report. They make reference to Hezbollah and reproduce fiery speeches against Israel and Jews. The students of extremism in Iran have brought along pictures of facilities maintained by the Lebanese group on Iranian soil – the itinerary included excursions to various regions of the country and visits to religious and political leaders. “It has nothing to do with terrorism. What we learned here is religion. Mr. Rabbani tells us that these accusations against him are all untrue,” said Rodrigo Jalloul to VEJA. That’s not what those responsible for surveillance of terrorist movements in Brazil think. “Our biggest fear is that militants are being recruited for future terrorist attacks here, and for that reason we must redouble our attention towards these trips, especially because we will soon have in Brazil global events like the Olympics and World Cup, which can encourage these people to commit extreme acts, “said one of the authorities dedicated to the subject. Along with the recruits in Belo Jardim, youth from Argentina, Chile, Colombia, Costa Rica, and Mexico traveled to Iran. The group’s ties to South America go beyond recruitment. The Federal Police has information that Rabbani came to Brazil a few times in recent years. In one of those visits, almost three years ago, he used methods that could cause a diplomatic crisis. The extremist embarked in Tehran bound for Caracas, Venezuela. From there, he entered Brazil illegally. Operated by Iran’s state airline, the Tehran-Caracas flight was called “Aeroterror” by intelligence officials for allegedly facilitating the access of terrorist suspects to South America. The Venezuelan government shields passenger lists from Interpol on that flight. Professor Rabbani’s movements were being monitored. The idea was to detain him in Brazil. Notified, the Federal Police set up an operation, but the order to execute this operation took a while, due to a complicated discussion about the political implications. Once again, the extremist escaped. Khaled Hussein Ali was born in 1970, in the east of banon. His hometown, Kamed El Laouz, lies in the Bekaa Valley. In this region, Ali, a Sunni Muslim, did his military service. Afterwards, he disappeared. At the beginning of the 1990s, he reappeared in Sao Paulo. He married and had a daughter. Thanks to her, in 1998, he acquired the right to live in Brazil. He lives in Itaquera, in the East Side of Sao Paulo, and supports his family with the profits made by a LAN house in the Vila Matilde neighborhood. Laid-back, he spends the day at the door of the business greeting people. Ali leads a double life. He is one of the leaders of the propaganda organization behind Al Qaeda, the terrorist group led by Saudi Arabian Osama bin Laden. From Sao Paulo, the Lebanese coordinates extremists from the Jihad Media Battalion in seventeen countries. The texts or videos by Bin Laden’s disciples are released upon his approval. The rule also applies to translations of speeches made by the Saudi terrorist and to videos put up on the internet by extremists. Furthermore, the Lebanese national provides logistical support for Al Qaeda’s operations. He is part of a network of terrorists that is wrapping its tentacles around Brazil. Treated like a prince by his cohorts. Ali was followed for four months by the Federal Police before being arrested in March 2009. The agents knew how he operated, but they could not access the data on his computer, which was protected by Al Qaeda’s encryption tool, Mujahideen Secrets 2.0. To get access to his information, the police had to grab his computer while he was using it. They used a simple strategy: the monitored Ali until he accessed the internet and telephoned him. They struck while he answers the call. The computer was full of files that proved he was a leader of the Islamic terrorists. His e-mails make it possible to reconstruct calls he made to Afghan guerillas, probably the Taliban. In January 2009 Ali ordered, received and passed on to addresses in Afghanistan maps and topographical charts of that country. Afterwards, he ordered his subordinates to get manuals together to help their “brothers in arms” understand the material. Two hours later he got a course produced by the al-Qassam brigades, the armed branch of Hamas, the radical Palestinian party that governs the Gaza Strip. In February 2009, the Jihad Media Battalion was trapped and Ali was called into action to defend it. At 8:00 pm on the 18th of that month Ali got an e-mail telling him that one of his men had been arrested in Gaza. He was said to be being held by Mossad, the Israeli secret service. With the news came a request that Ali block access by his cohort being held to Jihad Media Battalion files. This measure would protect the organization’s secrecy and keep its militant members anonymous. From Sao Paulo he “shut down” the captured terrorist. In addition to the proof of terrorism on the internet, the Federal Police found spam on Ali’s computer sent to the United States to incite hate of Jews and black people. Other files, which attacked President Barack Obama, were sent to conservative American groups to stir up political discussion. Contacted by VEJA magazine, Ali claimed to be someone else. This martial, however, allowed the Federal Police to charge him with racism, inciting crime and racketeering. He was not accused of terrorism because the Brazilian Penal Code does not make a provision for this crime. The Lebanese national spent 21 days in custody. He was released because the Federal Public Prosecutor did not press charges. Cases such this have further damaged relations between the US and Brazilian governments. Twenty years ago the Brazilian authorities have known about – and ignored – reports drawn up by Interpol, the CIA, the FBI and the US Treasury Department about extremist activity in Brazil. The terrorist attacks against Jewish targets in Buenos Aires, which killed 114 people in 1992 and 1994, led to a review of the way the issue was being dealt with. The Federal Police reacted by putting together an antiterrorism service. Thanks to that, it was discovered that in 1995 Bin Laden and Khalid Shaikh Mohammed, who helped plan the destruction of the World Trade Center on September 11, 201 1, had been in Foz do Iguassu. Bin Laden’s visit was revealed by VEJA eight years later. Despite the fact that the tentacles of terror have stretched further around Brazil, the federal government broke up the service in 2009. All the agents from the sector were removed, which damaged the investigations. Two months ago VEJA had access to reports drawn up by this team. Besides Ali, twenty militants from Al Qaeda, Hezbollah, Hamas, the Moroccan Islamic Combatant Group and Egypt’s al-Gama’a al-Islamiyya use or used to use Brazil as a hideout, logistics center, fund-raising source, and planning center for terrorist attacks. The reporters from this magazine also got reports sent to Brazil by the US government. 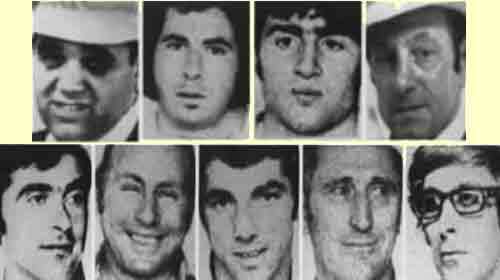 These documents allowed VEJA to find Ali and another four extremists. They live in Brazil as if they were regular citizens. One of them was sentenced in his own country. Hesham Ahmed Mahmoud Eltrabily has been identified in Egypt as one of those involved in the massacre of 62 tourists visiting the ruins in Luxor, in 1997. With an arrest warrant issued by Interpol, he was captured in Sao Paulo, five years afterwards. The Supreme Federal Tribunal refused to extradite him, claiming that the proof provided by the Egyptian government was not decisive. Now, the Egyptian sells electronics at the Galeria Pagé, one of Sao Paulo’s main centers selling illegally smuggled products. VEJA passed on the content of this report to the staff at his store, but Eltrabily did not return our telephone calls. 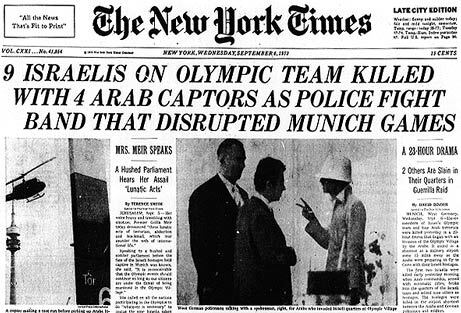 The Eltrabily case is similar to the Mohamed Ali Abou Elezz Ibrahim Soliman case, who was not tracked down by VEJA. Soliman was also sentenced in Egypt for his part in the Luxor attack. Arrested in 1999, the Supreme Tribunal rejected Soliman’s extradition, finding formal errors of instruction in the process, such as the mistranslation of documents. Just like Eltrabily, he sells illegally smuggled products, but in Foz do Iguassu. As one of his cohorts, he is part of the Brazilian al-Gama´a al-Islamiyya cell, subordinated to Al Qaeda. Accused of plotting terrorist attacks against the Jewish institutions that killed 114 people in Buenos Aires in 1992 and 1994, Iranian Mohsen Rabbani is wanted by Interpol but often comes in and out of Brazil without any trouble. An employee of the Iranian government, he uses passports issued in false names to visit a brother who lives in Curitiba. The last time this happened was in September last year. When Interpol alerted the Federal Police that he was in Brazil he had already escaped. But it is not only family ties that make this terrorist visit Brazil. The Brazilian Intelligence Agency (Abin) has discovered that Rabbani has recruited at least twenty young people in Sao Paulo, Pernambuco and Parana states to go on “religious training courses” in Tehran. “Without anyone noticing, a generation of Islamic extremists is rising up in Brazil,” says government prosecutor Alexandre Camanho de Assis, who coordinates the Public Prosecutor’s Office in thirteen states and the Federal District. In Sao Bernardo do Campo, in the region of Sao Paulo known as ABC Paulista, two Brazilians have been converted. Their stories were discovered by the CIA during the interrogation of one of the Al Qaeda leaders, Saudi national Abu Zubaydah, the man who convinced English national Richard Reid to put a bomb in the heel of his shoe and to try to set it off on a flight from Paris to Miami, in 2001. Being held in Guantanamo, Zubaydah was water boarded. In his book, Decision Points, Former President George W. Bush claims that torturing Zubaydah helped prevent other terrorist attacks. In Guantanamo, the Saudi jihadist said that he had welcomed the men from Sao Paulo Alan Cheidde and Anuar Pechliye to the combatant training camp in Khaldan, in Afghanistan. Cheidde is from a well-known family in ABC Paulista. His father, Felipe Cheidde, made one of the largest fortunes in the region in factoring, bingo and lottery houses. He became a Federal Deputy for the Brazilian Democratic Movement Party (PMDB). A he owns a fourth division soccer club, Esporte Clube Sao Bernardo, he is popular in his city. His 1,400 m2 house is one of the most sumptuous in Sao Bernardo do Campo. Even so, the connections his son Alan had with terrorists went unnoticed by the Brazilian authorities until 2004, when the CIA told the Federal Police. The US agents reported that Cheidde and his friend Pechliye had been asked to sort out Brazilian passports for members of Al Qaeda. Questioned by the Federal Police, both said they had lost their passports twice, in 2000 and 2001, and they could not remember the circumstances under which it had happened. Despite considering the excuse to be full of holes, the Brazilian authorities decided to release them. Cheidde told VEJA that his trip is a private matter. Pechliye did not return the reporter’s call. One of the rare occasions on which terrorists were troubled was in June 2005. That month the Federal Police made use of Operation Panorama against illegal immigration to arrest 21 extremists. They were charged with criminal misrepresentation and altering documents to get permanent visas for Brazil. They did this by faking marriages to Brazilian women. The radicals shoes single mothers, paid them R$ 1,000 to take part in the fraud and they recognized the children as their own. They formally became the parents of Brazilian children and so could not be extradited. The gang was led by Lebanese national Jihadist Chaim Baalbalti and Jordanian Sael BasheerYahya Najib Atari, a prominent Muslim leader from Foz do Iguassu. With the gang, the Federal Police seized 1,206 passports issued by Portugal, Spain, and Mexico. Mostly stolen, these documents were sold for US$ 11,000 each to extremists wanted by the police in several countries to radicals who wanted to disappear without a trace. The organization run by Baalbaki and Atari was not restricted to Brazil. Kuwait has accused the Jordanian of associating with local counterfeiters to help jihadists escape. Most of the Islamic community in Foz do Iguassu rejects terrorism. Fugitives of war and terrorist attacks in their native countries, it is the main source of information for the Federal Police. On the Triple Frontier of Brazil. Argentina and Paraguay, radicals form a marginal contingent among the 12,000 Muslims living there. But this has not stopped Atari from presiding over the Arab Palestine Association nr from being a spokesperson for the community. It was as such that he posed for the photograph at the top of this report. Contacted by VEJA afterwards, Atari, who like Baalbaki is free while awaiting the court case on criminal misrepresentation, racketeering, and aiding illegal immigration, said he would not like to talk about the accusations made against him. Atari audacity reflects the comfort the law assures him of. He and Baalbaki, besides being free, will only be extradited if found guilty. “Terrorists take advantage of the fragility of Brazilian legislation,’ admitted Daniel Lorenz, former head of the Intelligence Department at the Federal Police and currently secretary of Security in the Federal District, speaking at a hearing in the Chamber of Deputies. The pair continue to do business in Parana, a kind of Wall Street for the jihad “The Triple Frontier is, today, a financial artery for Hezbollah,” wrote the director of the Director of the Office of Foreign Assets Control at the US Treasury, Arfam Szubin, in a report sent to the US Department of State, referring to the Lebanese group. This situation has been arrived at because of the refusal of the Brazilian government to face up to terrorism. In 2007 a group of Deputies tried to amend the constitutional article that rules on terrorism. It was defeated by the then national Justice Secretary, Pedro Abramovay. “He claimed that an anti-terrorism law would attract terrorists,” says former Deputy Raul Jungmann (PPS-PE). By this way of thinking, of lack of it, Brazil should abolish the laws against murder, theft and drug dealing. After all, they would also incite people to break the law. Lenience with Islamic extremism is also a feature of Brazilian diplomacy, which does not recognize Hezbollah, Hamas or the Armed Revolutionary Forces of Colombia (Farc) as terrorists. In part, this is to do with an attempt to sell an image of Brazil as a tropical paradise armor plated against terrorist attacks. But it also presents itself as full of sympathetic from the left for jihadists, who are visceral enemies of the United States. An anti-terrorism law would also cover “social movements,” such as the Movement of Victims of Dams which, in 2007, threatened to open the stop gates at the Tucurui hydroelectric plant, and the Landless Peasants Movement which invades and destroys farms. “The Federal Police and the US government indicate the action taken by social movements as one of the main impediments to more effective combating of terrorism,” says Jungmann. Although it has carried out the investigations described in this report, the Federal Police adopt an ambiguous stance when commentating on the discoveries their people have made. The institution is evasive, saying that it “does not label people or groups that in some way may act having been inspired by terrorism.” This opaque and incoherent message not only helps extremist organizations take root in Brazil but it creates great risks for the immediate future. Terrorist handbooks recommend that militants launch terrorist attacks on occasions when their actions gain visibility. The federal police and prosecutors interviewed by VEJA fear that they see such opportunities in the 2014 World Cup and 2016 Olympics. 1st STAGE (1992) – Brazil began to be used as a stopping-off point for terrorists like those who blew up the Israeli Embassy in Buenos Aires, In 1995, Osama bin Laden and the third-in-charge of Al Qaeda, Khalid Shaikh Mohammed, went to Foz do Iguassu, as VEJA reveled in 2003. 2nd STAGE (1996) – They began to establish themselves legally in Brazil. One cover they used to stay in the country was to legally adopt the children of single mothers. As official parents of Brazilian children, they could not be extradited. 3rd STAGE (1999) – Beginning of recruiting Brazilians. The most inclined to fight were sent abroad to learn more about the extremists’ doctrine and to be trained in terrorist camps in Afghanistan. 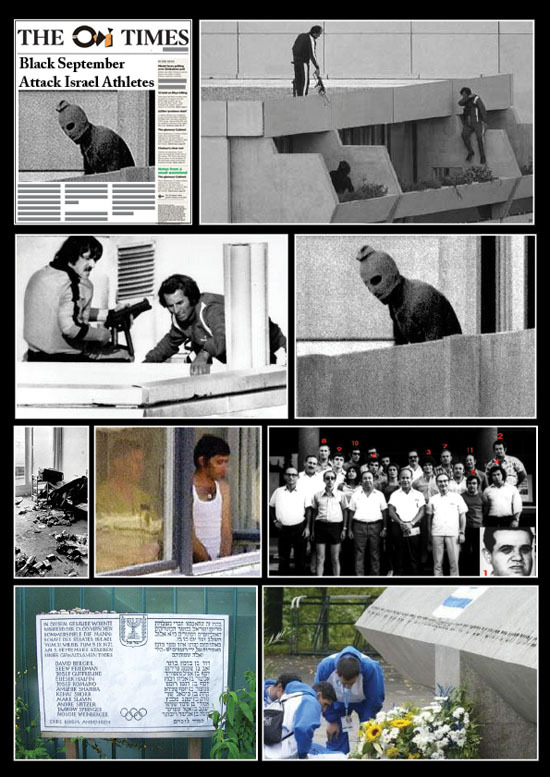 th STAGE (2001) – Brazil began to be used as a terrorism finance base and attack preparation center. After the attacks on September 11, the US Treasury Department identified money being sent to Hezbollah from Brazil. One single militant set up in Parana sent US$ 100 million to this extremist group. Crime: accused of planning and carrying out two terrorist attacks against Jews in Buenos Aires. One hundred and fourteen people died in these attacks. Through Interpol, Argentina demanded his arrest. Frequently visits Curitiba, where his brother lives, and he enters Brazil on a fake passport. The last time was in September last year. Crime: identified by the CIA and US Department of Homeland Security as the leader of a cell of Osama bin Laden’s organization in Belgium. In 2003 his cohorts were arrested in possession of a formula for explosive, grenades and an AK-47 assault rifle. A wrestler, he learned jiu-jitsu in Rio de Janeiro and is always coming to Brazil to compete in the sport. Crime: the CIA discovered that he laundered US$ 100 million in Paraguay earned through selling illegally smuggled goods and drugs on the Triple Frontier, and he sent this money to Lebanese terrorists between 2001 and 2003. He is on a black list at the US Treasury Department. After spending five days in custody in Paraguay, he escaped to Brazil. Crime: Egypt accuses him of taking part in the 1997 terrorist attack in which 62 tourists were machine-gunned to death in the ruins in Luxor. In 2002 the Supreme Federal Tribunal rejected his extradition, because of procedural errors. He was trained in Afghanistan by Osama bin Laden’s group. Has controlled the Gaza Strip since 2007. Operates through a political party and its armed branch, the Izz ad-Din al-Qassam Brigades. It does not recognize the state of Israel and attacks Israeli civilian targets with rockets. Created in Palestine in the 1970s, its preferred targets are Israel and Islamic states sympathetic to the West. Smaller and less influential than Hamas, it gets money from Iran to carry out its terrorist attacks. It has operational bases in Syria. Claimed responsibility for the bombing that killed a women and injured 31 people in Jerusalem ten days ago. It wants to convert the Moroccan monarchy into an Islamic state. Founded in the 1990s, it supports AI Qaeda in North Africa and Europe. Its members get military training in Afghanistan. Its bombs claimed 33 victims in Casablanca, the largest city in Morocco in 2003, and another 191 in Madrid, the following year. Islamic extremist groups such as Al Qaeda, Hezbollah and Hamas are illegally operating in the Triple Frontier area shared by Argentina, Paraguay and Brazil, where they allegedly gather large amounts of money, recruit new militants and plan additional attacks, Brazilian magazine Veja denounced. The weekly publication stated that several reports by the Brazilian Federal Police and the US government warn that at least twenty high-ranking members from the three organizations are currently operating in the so-called “Triple Frontier” area, shared by Argentina, Paraguay and Brazil. The Brazilian government has always denied the existence of any activities linked to these Islamic groups, but has admitted that a large portion of the Lebanese community living in the country legally sends large sums of money to the Middle East. Also under investigation, according to the article published on Sunday, is Mohsen Rabbani, a former cultural attaché to the Iranian embassy in Buenos Aires, who is suspected of being involved in the 1992 and 1994 terrorist attacks against the Jewish community in Argentina. Apparently Rabbani “frequently flies to Brazil under a fake identity in order to visit a brother living in Curitiba.” According to Interpol authorities and intelligence agents in Brazil, his last visit to Brazil was in last September. According to Veja, the ABIN (Brazil’s intelligence agency) found out that Rabbani took over 20 young men from the Greater Sao Paulo area, Pernambuco and Parana to a meeting Tehran in which they would be instructed on religious formation. The article also assures that 41-year old Lebanese Khaled Hussein Ali, currently living in Sao Paulo since 1998 when he obtained legal residence after fathering a Brazilian girl, has coordinated Al Qaeda operations in over 17 countries from Brazil. In 2009, Ali was detained and secluded for 21 days in a Brazilian jail after authorities raided his home and found several videos and emails that instigated hate against the Jews and black people. Police authorities believed that Ali was one of Al Qaeda’s top propaganda men, but the Brazilian Public Ministry decided not to bring him to justice over a lack of evidence. The magazine also states that the Shiite Lebanese group Hezbollah and the Palestine group Hamas also have a logistics operations centre in the Triple Frontier region. Iran is investing in strengthening the political and economical relations with several countries in Latin America. It is also actively engaged in religious proselytizing, particularly aimed for the poorest sectors of the Latin American society. Converts to Islam eventually undergo religious and political training, including in Iran, to prepare these new adherents to become instruments and agents of the Iranian regime. Mohsen Rabbani, an Iranian mullah and a former cultural attaché in Argentina, is a leading figure in spreading Islam in Latin America, particularly in Brazil. Rabbani, while in the service at the Iranian embassy in Buenos Aires, was involved in the planning and implementation of the deadly terrorist attack on the Asociacion Mutual Israelita Argentina (AMIA) Jewish cultural center of 1994 that resulted in 85 dead and more than 150 injured. Rabbani’s involvement in the bombing was persistently denied by Iranian authorities. In 2007, however, Interpol finally decided to issue a Red Notice for Rabbani, which is an arrest warrant with a view to extradite. The activity Rabbani is developing in Belo Jardim, in the Brazilian state of Pernambuco, where local police have found evidence that the recruitment of Brazilians, and subsequent traveling to Iran, involves more than spiritual enlightenment through religion, is particularly alarming. Along with the recruits in Belo Jardim, youth from Argentina, Chile, Colombia, Costa Rica, and Mexico are also traveling to Iran. The Brazilian Federal Police has information that Rabbani, in one of his latest visits to Brazil, used methods that could cause a “diplomatic crisis.” The Iranian mullah embarked a plane in Tehran bound for Caracas, Venezuela. From there, he entered Brazil illegally. Operated by Iran’s state airline, the Tehran-Caracas flight was called “Aeroterror” by intelligence officials, for allegedly facilitating the access of terrorist suspects to South America. The Venezuelan government hid the passenger lists from Interpol on that flight. Rabbani’s movements were being monitored, the idea being to detain him in Brazil. Notified, the Federal Police set up an operation, but the order to execute the operation took longer than anticipated, due to complicated discussion about the political implications. Once again, Rabbani managed to escaped. In the 675 pages complied by the Argentinean Investigation Unit of the Office of the Attorney General on the AMIA terrorist attack, it is reported that one of the ways used by Rabbani to secure an individual’s loyalty is to send them to Iran so as to deepen their knowledge of Islam. 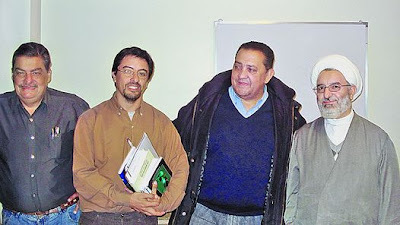 One of Rabbani’s favorite disciples in Latin America is Sheik Karim Abdul Paz, an Argentinian convert to Shiite Islam, who formerly went by the name, Santiago Paz Bullrich. He used to be the imam of the Iranian-run al-Tahuid Mosque in Buenos Aires. Now he is imam of the Islamic Cultural Center in Santiago de Chile. He studied in Qom, and became a leading figure of Shiite Islam in Latin America. He doesn’t hide his sympathies for Middle Eastern terrorist groups and maintains that the Shiite group, Hezbollah, is not a terrorist movement, but a “fundamental part of the heroic worldwide resistance against the U.S. and Israel’s terrorist imperialism”. This, apparently, is what Rabbani is teaching to Latin American converts during his spiritual courses in Iran. The man pictured– white beard, wearing brown, and his head wrapped in a turban — is the Iranian Mohsen Rabbani. Among the seventeen people who surround him are eight Brazilians. Rabbani is considered by these people to be a teacher. The classroom is located in the Iranian city of Qom, a place sacred to Shiite Muslims. New converts to Islam, the young Brazilians traveled to Iran, all expenses paid, to deepen their religious knowledge. Recruiting or proselytizing is common to all faiths. In this case, however, distortions are disturbing. Rabbani is not a teacher, either. The Brazilian weekly, Veja, revealed two weeks ago that, in addition to being one of the most wanted terrorists in the world, he is also responsible for recruiting young Brazilians for courses on “religious training.” What this terrorist, named as a perpetrator of one of the bloodiest attacks in history, and responsible for the deaths of over a hundred people, may be teaching the Brazilians is a major concern of the authorities. The clues uncovered so far to unravel this mystery are not encouraging. “Professor” Rabbani is wanted for his involvement in acts of terrorism since November 9, 2006. His capture is considered so vital that Interpol has included his name in a so-called “red notice,” a select list of most wanted people in the world. The international arrest warrant against Rabbani was issued by Argentinean courts. He is considered one of the masterminds behind two attacks on Jewish targets in Buenos Aires, which killed 114 people in 1992 and 1994. Rabbani was an Iranian embassy official in Argentina’s capital. With diplomatic status, he is now protected by the regime of Iranian President Mahmoud Ahmadinejad — and responsible for the recruitment of followers throughout Latin America, promising religious influence and also money. Rabbani’s effort to amass followers in the poor regions of Brazil, with no tradition linked to Islam, is noteworthy. “Rabbani is a serious security threat, including in Brazil. In Argentina, he spread his vision of radical, extremist, and violent Islam, which resulted in dozens of casualties during the Buenos Aires terrorist attacks. Now, based in Iran, he continues to play a significant role in the spread of extremism in Latin America,” prosecutor Alberto Nisman, head of the special unit of the Argentine prosecutors charged with investigating the attacks, told Veja. The enticement of Brazilians for courses abroad has been monitored for four years by the Federal Police and the ABIN, the government’s secret service. It is Rabbani himself, with help from people he trusts, who chooses those who will travel. From 2007 until today, three groups of Brazilians have visited Iran. There are plenty of reasons for such surveillance. The course has a strong religious content. But that is not what is of concern. Students from one of Rabbani’s groups have confided that, during these travels, they have visited the premises of the radical Lebanese group Hezbollah, considered a terrorist organization by many countries, including the United States. Reports to which Veja had access say that Rabbani’s courses are some sort of an entryway for terrorism. According to these documents, the classes include radical preaching and training in military camps. The city of Belo Jardim, a Brazilian municipality in the state of Pernambuco, is the most active center for the recruitment of extremists. Of the eight selected Brazilians for the first class taken to Iran in late 2007, four were from Belo Jardim. A brother of Mohsen Rabbani, who lived in Curitiba, personally took care of recruitment. Today, this Pernambuco city of 58,000 inhabitants deserves constant attention from the Federal Police and ABIN. Among the Brazilians lured are: a taxi motorcyclist, a schoolteacher, an official of the Banco do Brasil, and an English teacher — all from humble backgrounds. The motorcyclist,Erlan Batista Machado, had never been on a plane until he flew to Sao Paulo, and from there to Iran, where he studied at the invitation of Rabbani. In Iran, he gained a new name: Sayd. Approached by Veja, Erlan said he accepted the invitation because he wanted to know more about Islam. “It was a wonderful experience,” he said. He said he never had contact with terrorists or with radical groups. The reaction of Professor Joao Adriano Oliveira was the same when asked about the matter: “It was just a religion course.” Joao Adriano, who teaches in a public school and is learning the Arabic language, was a natural leader of the group formed in Belo Jardim. Renamed Abu Husayn, it was his responsibility to make contacts with the brother of Rabbani and with Iran. Travel expenses were paid by a foundation coordinated by Rabbani and sponsored by the Ahmadinejad government. Joao and his classmates also received small amounts of money during their period of stay in Iran. They came back with a promise from Rabbani to donate $350,000 to build a mosque in the city. The Brazilian weekly, Veja, said several reports by the Brazilian Federal Police and the U.S. government warned that at least 20 high-ranking members from the three organizations — al-Qaeda, Hezbollah and Hamas — are currently operating in the so-called “Triple Frontier” area, shared by Argentina, Paraguay and Brazil. Jan 27, 2011 – A book celebrating suicide bombers has been found in the Arizona desert just north of the U.S.- Mexican border, authorities tell Fox News.